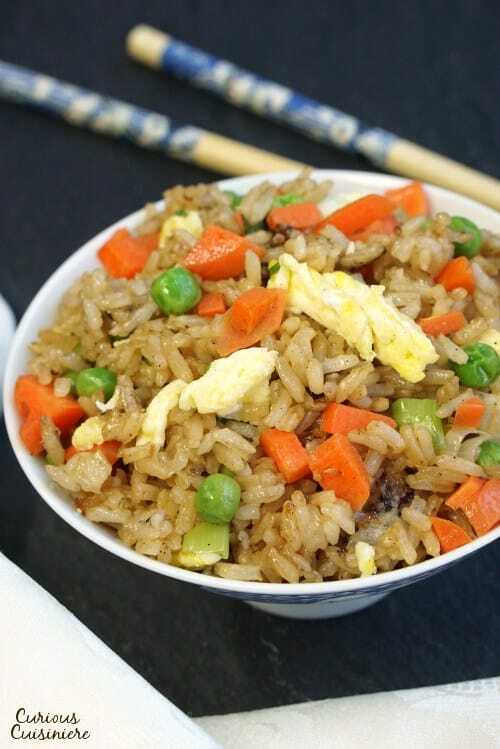 Homemade Fried Rice is so flavorful and quick, we’re pretty sure you could have it on the table before the delivery driver gets to your door. 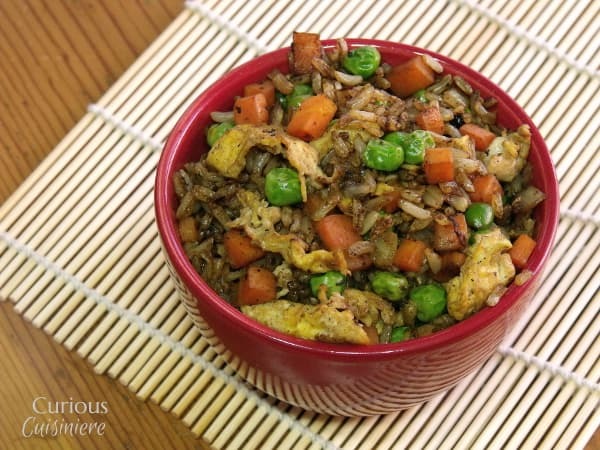 Think of fried rice as a ‘leftovers’ dish. It’s the easiest way we know to transform leftover rice, veggies, and meat (if you so desire) into a completely new creation. The ‘leftover’ part is actually quite important in this dish. I’m sure you’ve noticed how leftover rice can get a bit dry. Right? It’s that dryness that we want for fried rice. Freshly cooked rice has too much moisture to fry properly, it will just continue to steam. 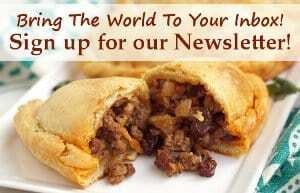 Meaning, you’ll have a tasty rice saute, but not that nice and slightly crisp fried rice feel. It’s common for us to make extra rice for dinner one night, just so we can throw it straight from the fridge into a sizzling wok and watch those little grains pop and snap later in the week. 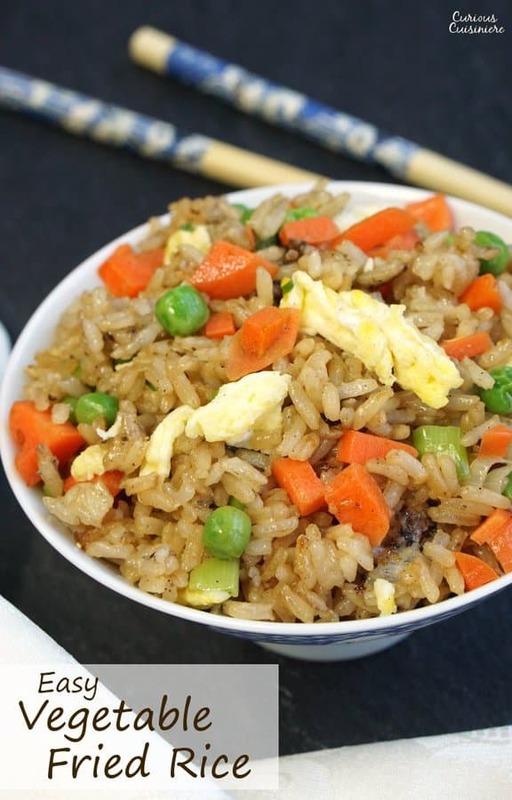 Since fried rice is so quick and so satisfying, for us it has become a go-to comfort food. But, let me tell you, there is a difference. Cooking the eggs, vegetables, and rice separately allows each element to develop its own, unique flavor profile. 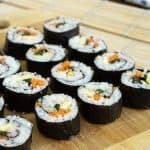 Then, when you bring it all together, you have distinct flavors that are brought together by the soy sauce, rather than having a dish of many things that all taste the same. While I’m getting better about it, I am a meddler. A fiddler. A ‘lift the lid on the rice ten times to check if it’s done yet,’ kind of girl. So, this step is hard for me. Throw that cold rice into the wok. Mix it up a bit to coat all those grains with the hot, melted oil. Then, spread them all out so everyone gets their share of the pan, and walk away. But, don’t touch that rice for a good 3-4 minutes. I use the time to start cleaning up or setting the table. The rice will sputter, pop, and jump. But, that’s ok! After 3-4 minutes, you can stir the rice. 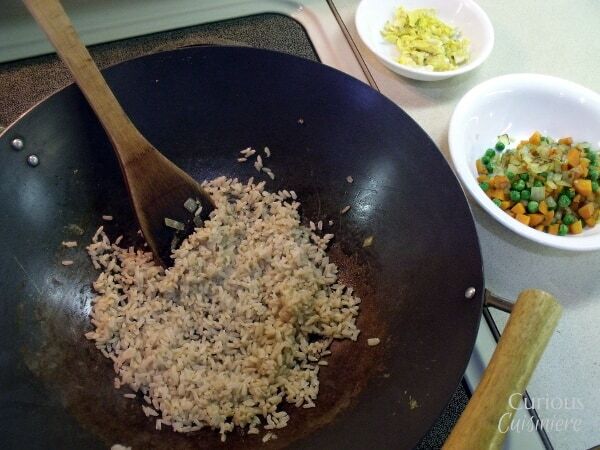 Scrape up any bits that are stuck to the wok (Those are crispy bits of goodness! ), and then walk away again. 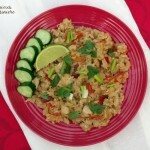 By leaving the rice alone to fry, you create those coveted crisp and tender grains of fried rice. If you keep stirring, the rice cooks, but it never has time to really crisp up. And, it isn’t called fried rice for nothing. There should be crispy bits! Sure, it may sound like a lot of steps here. 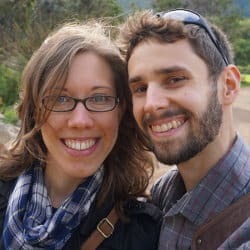 But, we’re sauteing, so each step only takes a minute or two. We’re talking 20 minutes max to some serious comfort food! 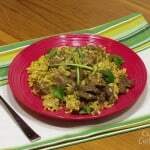 Eat it as a side dish to your favorite Asian main, like our Beef and Asparagus Stir Fry or Chicken Teriyaki. Or, serve the rice as a the main event accompanied by some Vegetable Egg Rolls. Homemade Fried Rice is so flavorful and quick, we're pretty sure you could have it on the table before the delivery driver gets to your door. 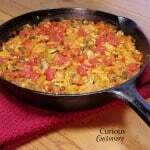 In a large cast iron skillet or wok heat 1 tsp of oil over medium heat. Add the beaten eggs and cook, stirring constantly until firm and scrambled, 1 minute. 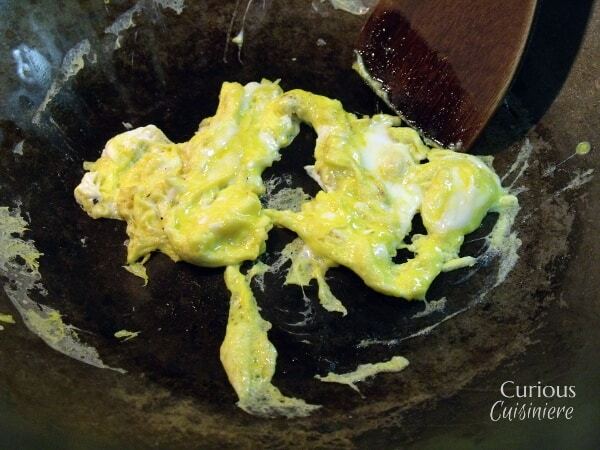 Remove the cooked egg from the pan and set aside. Wipe the wok clean with a paper towel (no need to wash it). Add 2 tsp of oil to the pan and increase the heat to medium high. Add the carrots, peas, and green onions to the wok sautéing for 1 minute after each addition. Once the veggies are heated through, remove the mixture from the pan and set aside. Wipe the wok clean with a paper towel (again, no need to wash it). Add 1 Tbsp of oil to the hot pan. Once the rice is fried, add the soy sauce and mix to coat. Add the vegetables and eggs back to the pan and cook for 1-2 minutes to heat through. Taste and add soy sauce as desired. 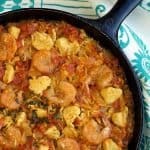 This recipe was updated in January 2017. I can’t wait to try it. What would you serve with this? 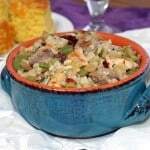 We love serving this with a beef stir fry or egg rolls. 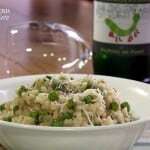 I am going to make this tonight. I love searching for something different on a week night and not too complicated. I am making broiled fish with it however. Keep it light. Great idea to serve this with some fish! Sounds like a perfect, quick and easy meal! Made this tonite and it turned out pretty good! Always willing to try new ideas. We’re so glad you liked it Mary Helen! Thanks for stopping by to let us know how it turned out! 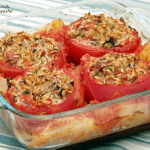 The great thing about a recipe like this is that it is so adaptable! If you don’t like the eggs or a particular vegetable, you can leave them out and add in ones you do like! 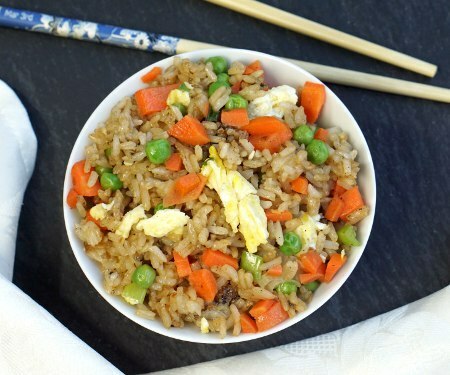 I’m all about the egg in fried rice. Give me extra egg and I’m a happy camper! 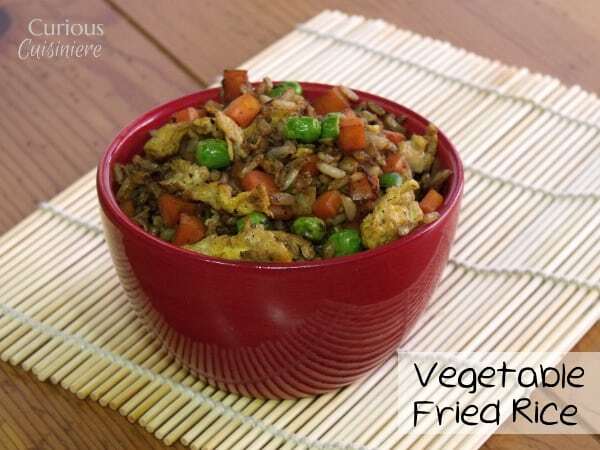 Vegetable fried rice is one of my all-time favorite quick meals and yours looks awesome. YUM!